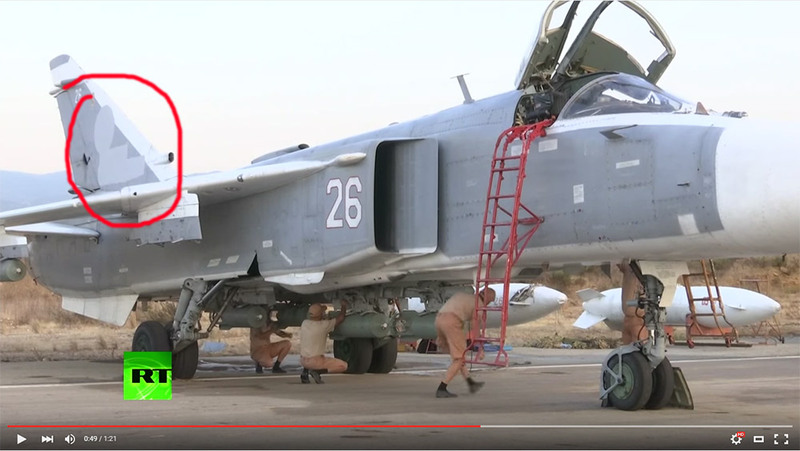 How long have Russian troops been operating in Syria? • What bombs are used by the Russian air force? • How long have Russian troops been operating in Syria? After our previous investigation on the Russian troops in Syria, the situation on the ground has changed significantly. The Kremlin’s official position on our troops in Syria changed just as rapidly. When we published our investigation, one of the marines of the 810th brigade featured in our report, Yuriy Artamonov, was urgently shipped back to Crimea. A TV piece was shot with him telling no one had sent him anywhere and his wife’s account had been hacked to plant information on him being sent to Syria. The piece was aired on Russian national TV channel “Russia 24”. The Russians have been long-standing and loyal supporters of the Assad regime – both with diplomatic cover and practical support on the ground. This support appears to have significantly increased with the deployment of some 2,000 military personnel and about a half dozen tanks – of what the New York Times describes as their “most modern” variants – at an airfield near the Assad stronghold of Latakia. Moscow has been sending two military cargo flights a day to the airfield over the past few weeks, US officials say. Satellite images put out by Foreign Policy confirm what the Institute for the Study of War has called a “game changer” in the conflict. Russia has positioned several tanks at an airfield in Syria, two US officials said on Monday, adding that the intentions of Moscow’s latest deployment of heavy military equipment were unclear. Moscow has come under some measure of international pressure in recent days to be more transparent about its moves in Syria, where the Kremlin has been supporting Syrian President Bashar al-Assad in a 4-1/2-year war. The Pentagon declined to directly comment on the Reuters report, saying it could not discuss US intelligence. But a spokesman said recent actions by Moscow suggested plans to establish a forward air operating base. “We have seen movement of people and things that would indicate that they plan to use that base there, south of Latakia, as a forward air operating base,” Pentagon spokesman Captain Jeff Davis told a news briefing. Russia is shipping massive quantities of offensive weapons, materiel and soldiers to Syria. The massive Condor flights carrying all kinds of supplies now arrive twice a day through Iran and Iraq into Bassel Al-Assad International Airport outside the port city of Latakia. The cargo is for Russian soldiers, not Syrian government forces, but is seen as a build-up to aid Bashar Assad’s embattled regime. The only thing surprising about this is that it took so long.